Romantic Prague is a package for 2 – 5 nights in Junior Suite Executive. 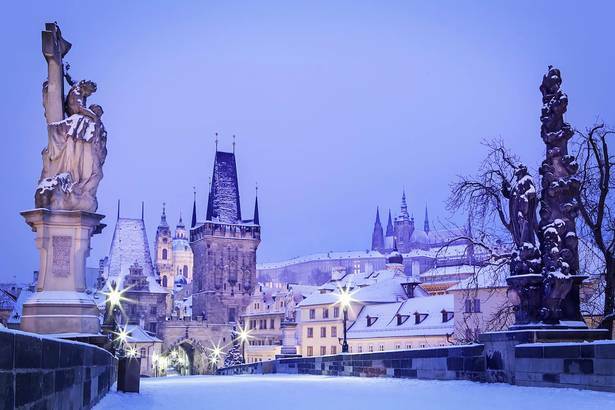 The Romantic Prague offer is for guests who endorse the idea of spending a city break in a romantic boutique hotel. Your stay will be boosted by a delicious 5 course degustation dinner by candlelight which during winter time may be served by a fireplace, an access to our spa of which you may choose our Roman Bath (hot tub) or a Steam Bath in a cave. The Romantic Prague Package also feature a cruise Prague Venice which is an excellent experience providing beatiful views of Charles Bridge, Kampa Area with Certovka river and a Prague Castle.